Rob is an Ecosystems and Channels Director for GE Digital. Rob is the Senior IT & Telecoms Sourcing Leader for EMEA at GE. 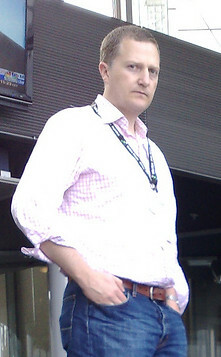 Rob joined General Electric at the end of March 2011. Prior to GE Rob was Group Head for Telecoms Sourcing for Western Europe and the Nordics and managed a team providing all aspects of Telecoms sourcing to Orange Business. Playing an active role supporting the Orange Business Services New Media team and driving Social Computing into the Enterprise, Rob blogged for Orange Business Services here and here. Prior Orange Rob worked for IBM for almost 10 years, in various roles included; Pan European Purchased Telecoms, UK Purchased Telecoms, UK Network Delivery Manager and was also on IBM’s Talent program. Having graduated with a first class degree in Construction Management, Rob went on to gain a Ph.D. in Financial Management from Liverpool University. Rob has started and run three businesses (but failed to make any a success! ), a mobile communications website focusing on mobile data, the site had a vertical search engine featured in PC PRO magazine. However, Rob had a cease and desist letter before they became fashionable, (I’ll write up what happened and the irony in the story one day). Rob also ran an online mobile phone and data products business and an office integration consultancy for SMB’s in the north west of the UK. 1997 is when Rob first started writing a news web site (focusing on the UK Telecom industry) and has now been blogging here since 2003. Rob also took part in IBM’s internal blogging pilot back in Dec 2003, so has been blogging in the corporate space for a while. You can email Rob at dr dot rob dot evans at gmail dot com or at GE robert dot evans at ge dot com.